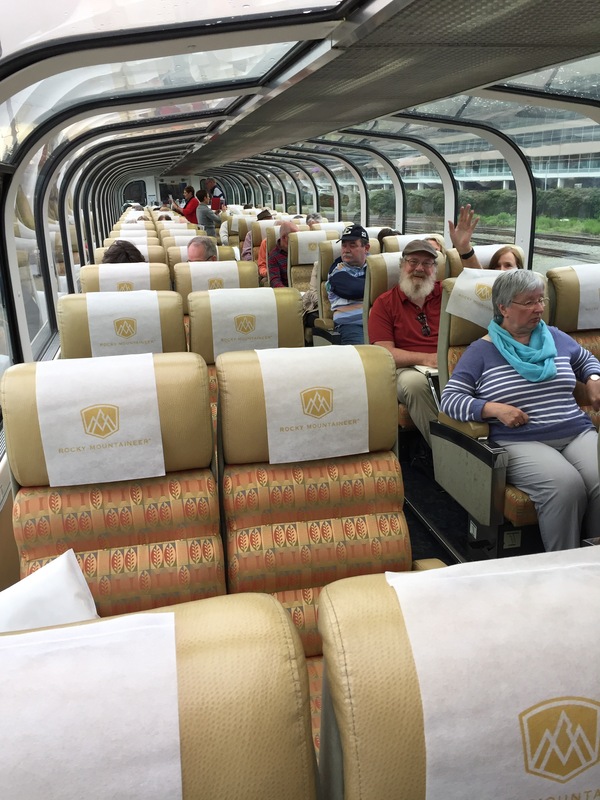 Being aboard the Rocky Mountaineer is a lot like being on a cruise ship. There’s an overarching emphasis on pampering the travelers. Each train car has legions of people waiting on you hand and foot and pointing out that osprey nest that is coming up around the corner, or the big horn sheep trotting by. Oh, yeah — there’s also a lot of focus on food and drink. Every car has its own white tablecloth dining room and kitchen. 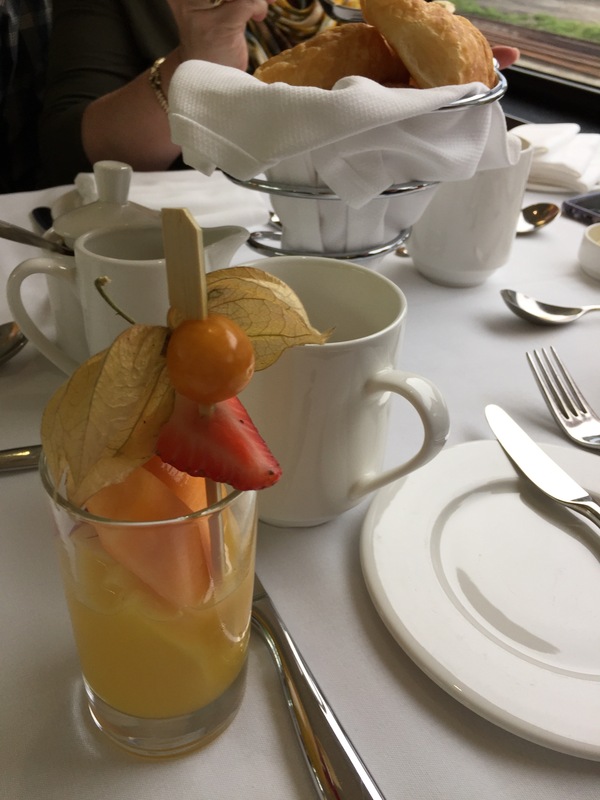 You get seated with other travelers in your car — so far, we’ve broken bread with a couple from Florida and a couple from Germany — and you order your main course off the menu while they bring you other treats, like the fruit concoction pictured above that we got at breakfast. It was a kind of delicious combination of orange juice and fruit sections, topped with a plump, juicy, tart gooseberry. Not a bad way to start your breakfast! In addition to the two sit-down meals, you’re also plied with snacks and as many drinks as you can inhale, the better to appreciate the scenery rolling by. It’s a pretty civilized way to travel. Call it truising — or maybe craining. We’re in Vancouver, getting ready to board the Rocky Mountaineer train on the Canadian rail system. It runs over the Canadian Rockies to Banff and points west. 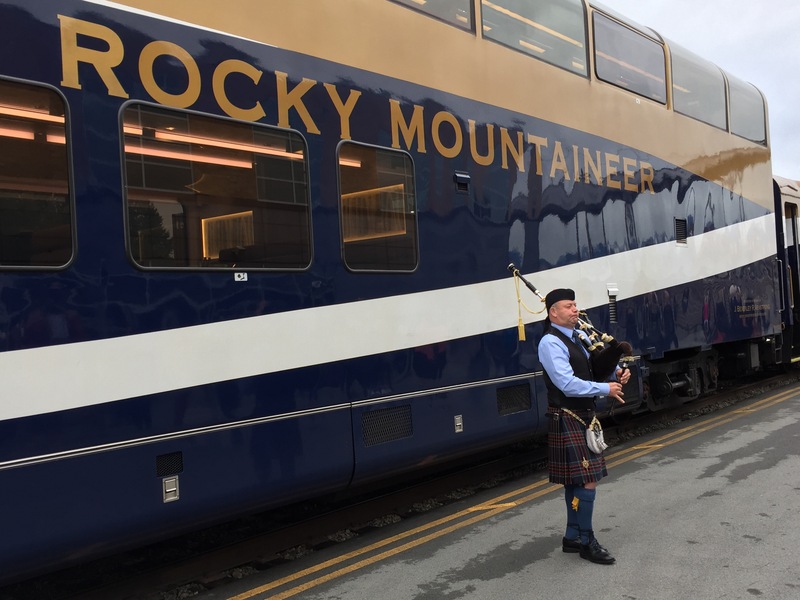 The Rocky Mountaineer does things with a nice touch of class. We were greeting by a guy playing Beatles music on a baby grand when we entered the terminal, got complimentary coffee and juice, and were piped aboard the train by a bagpiper in full Scottish regalia. Now we’ve been given a “sunrise toast” with orange juice and bubbly to start our journey. We’re in the top floor of a two-story train with more window glass than you can possibly imagine — the better to gawk as the landscape rolls by. The scenery is supposed to be spectacular, and we’re eager for our trip to begin. The train tracks come into Columbus from the south. At night we regularly hear the whistles moan as the trains approach the downtown area. As the cars rattle past German Village, they roll underneath the Whittier Street overpass. The overpass has a tightly meshed fence that keeps the passersby away from the tracks and makes it impossible to get an unobstructed picture of the trains as they rumble by. It’s an apt physical sign of Columbus’ circumstances when it comes to trains. We are serviced by freight trains galore, but we’re blocked from boarding any passenger trains. If you live in Columbus and want to take a train trip, you need to drive about a hundred miles south or a hundred miles north — because neither Amtrak nor any other passenger rail line stops in Ohio’s capital city. If you look at a passenger rail service map, you can see Columbus’ isolation. It’s there smack dab in the middle of Ohio, far away from any of the operating rail stations. Even with efforts underway to increase passenger rail service in other cities, when it comes to trains Columbus is nowhere. It didn’t use to be that way. If you talk to old-timers, they’ll tell you about Union Station, which used to anchor the northern edge of downtown Columbus, and how you could catch an interurban train to other cities in Ohio, take a long cross-country trip, or even book a ride on a special car that took Ohio State football fans up to Ann Arbor for the games against That Team Up North. But now Union Station is demolished, its classical entrance arch has been reconstructed in a park in the Arena District, and the train trips from Columbus are a distant memory. At some point, when the superhighways and the airports had taken away many of those former passengers, train travel became uneconomical, and somebody decided that Columbus really didn’t need passenger trains anymore. Now we just hear the trains, and it’s a lonesome, sad sound. I was born as the Golden Age of Train Travel in America was ending, and railroads were being eclipsed by airplanes and the interstate highway system. As I grew up, the passenger rail system was shriveling, many grand downtown stations were being torn down, and cities like Columbus were being left with no rail service at all. Still, there has always been something evocative about trains. When I traveled through Europe after college, I enjoyed the train experience — the jostling and rocking, the whistles and bells, the clickety-clack of steel wheels on steel track, and the aging smell of the cars. I enjoyed the chance encounters with complete strangers that a communal travel system offered. It was stimulating and added to the feeling that I was really getting exposure to the cultures and people of the countries I was visiting. I enjoy driving, but there is a lost romance to train travel that the interstate highway system just can’t match. 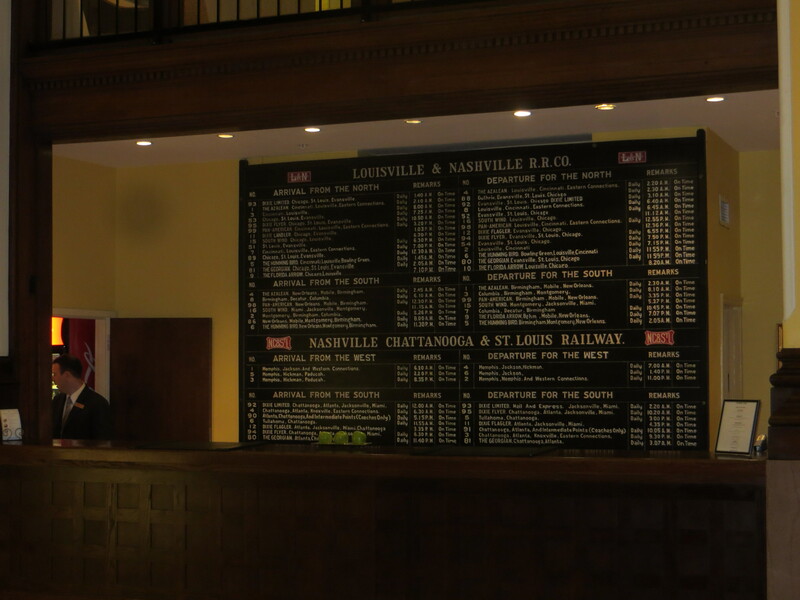 Here in Nashville, the backdrop to the registration desk in the spectacular lobby of the Union Station Hotel is an old train schedule. Just look at the names! The Dixie Flyer! The South Wind! The Hummingbird! The Azalean! The Florida Arrow! The Pan American! Who wouldn’t want to board one of those trains, as porters hustled by and stacks of luggage were loaded, as steam huffed from the engine and warning whistles screamed, in search of adventure? I’m drawn to train tracks. I love the feel and look of the tracks, with their brightly gleaming steel rails and their heavy wood railroad ties on the rough gravel beds. 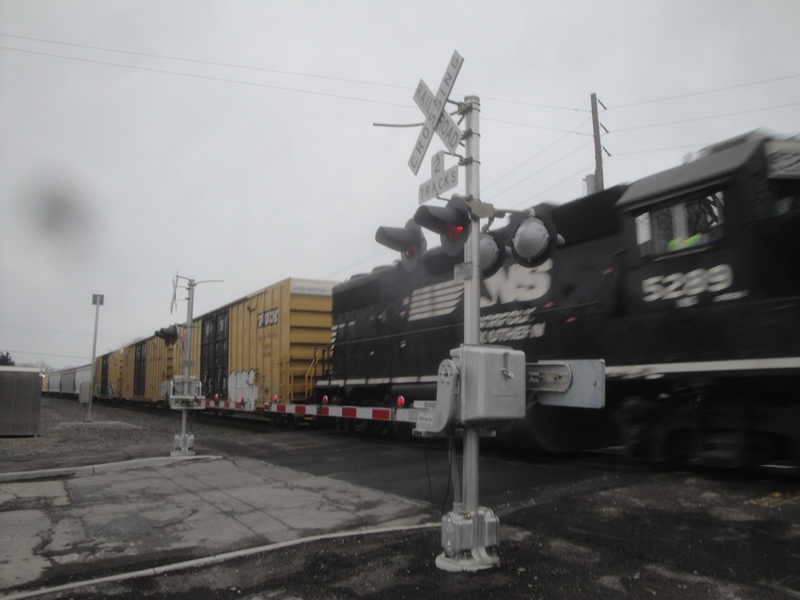 I love the railroad crossing gates, with their x-shaped railroad crossing sign, their clanging bells and flashing lights, and their striped crossing bars. But most of all, I love standing at a crossing — after carefully making sure no trains are approaching from either direction, of course — and looking down the tracks. 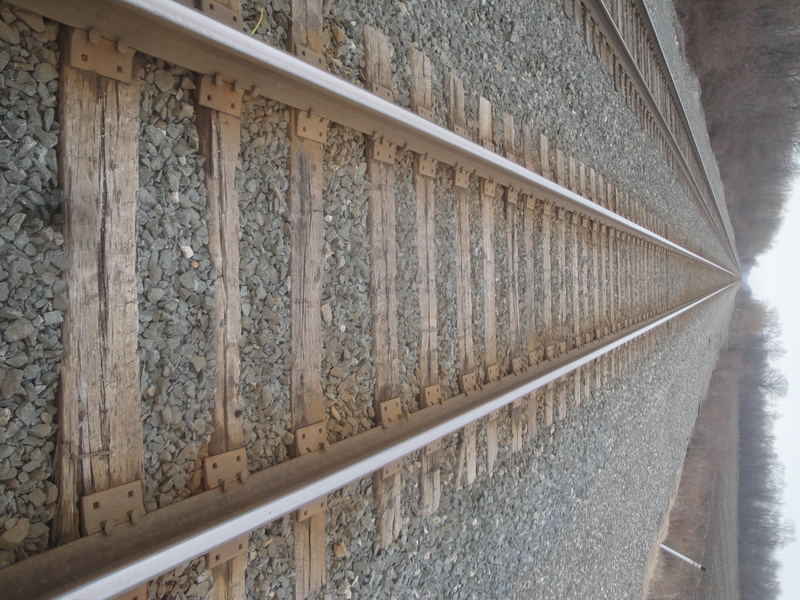 Have you ever thought about how evocative train tracks are? You can stand at a crossing in rural Ohio and look to the right or to the left and see the tracks disappear into the far distance, touching the horizon, a perfect study in artistic perspective. It’s almost as if you can look into infinity — and infinity can be found either direction. Kish grew up in Vermilion, Ohio, in a house located between two train tracks. 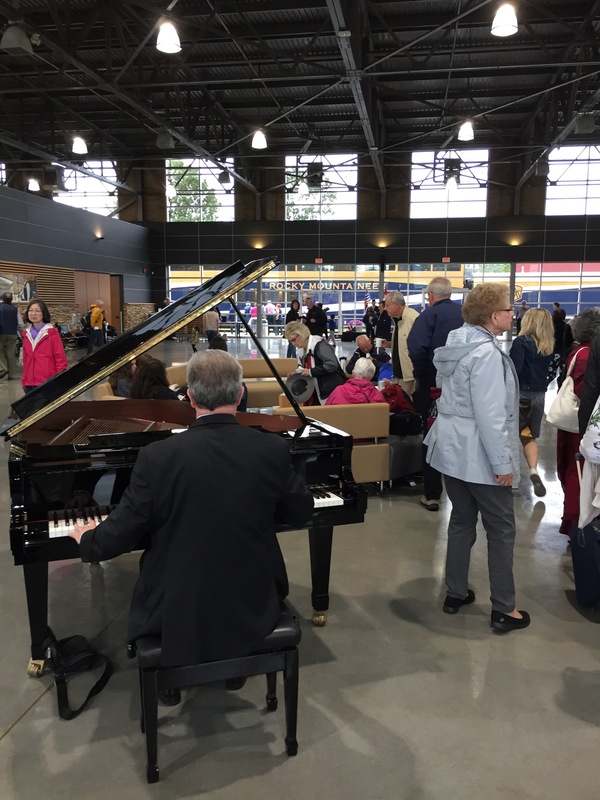 Because there are two tracks nearby, and because a lot of commerce in America moves by freight train, the lonely sound of train whistles and the rumble of passing freight cars are a part of every visit we make. There is something comforting about the sounds of trains. The train is far away when you first hear that whistle echoing across the countryside; the train politely gives you plenty of notice that it is on its way. As the train approaches, the sound of the whistle changes and expands. Soon you hear the throaty growl of the train passing by — and then the whistle gently recedes into the distance. We don’t hear many train whistles in New Albany; I’m not even sure where the nearest railroad crossing is. Curiously, however, the sounds of the trains don’t bother me when we are here or interfere with my sleep. If anything, I sleep more soundly — and I think the trains, as well as the fresh air and the deep darkness, away from the light pollution of urban areas, may have a lot to do with it.